This is a large version of a smaller heart design. 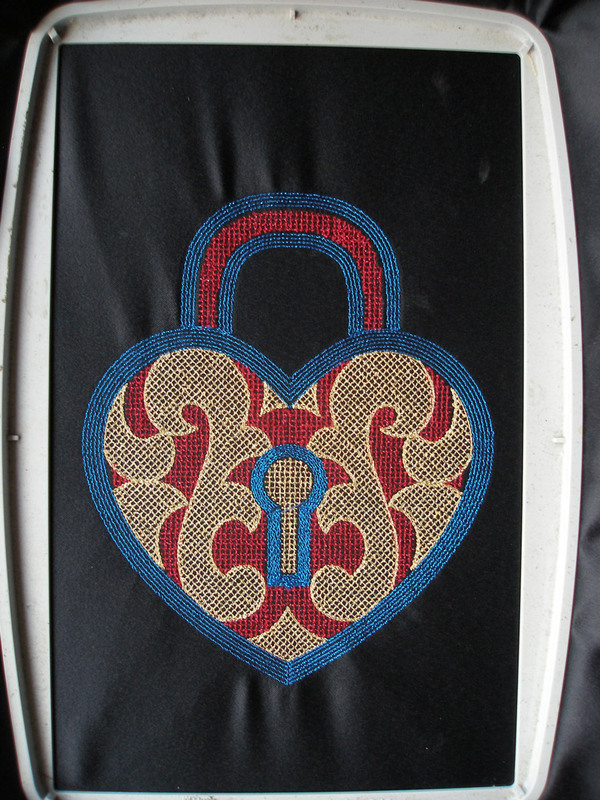 This design ( pictured left ) was stitched out on black satin using a Husqvarna designer 1 embroidery machine with a standard 15 by 24 centimeter frame by john Coldwell using SophieSew version two embroidery software ( see below ). It is a four color design in one size of 14.8 by 17.8 cm at 28511 stitches approx. Red, Gold, Blue ( metallic ) and Black ( outlining ) Madeira threads were used to give a contrasted eye catching look. 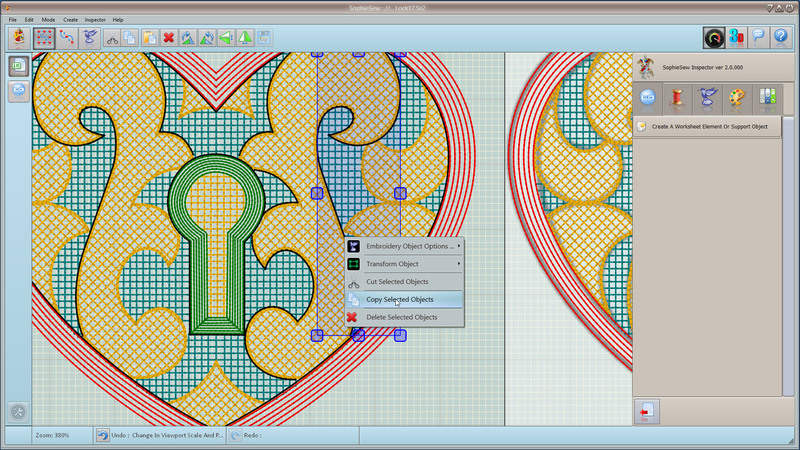 This design was digitized entirely with running stitches to give a meshed cross hatched look. A Light stabilizer and touch of 505 fabric adhesive as well as a schmetz 130 N topstitch embroidery needle were also used.